Wales have named two uncapped players in their 37-man squad for the forthcoming Under Armour Series. 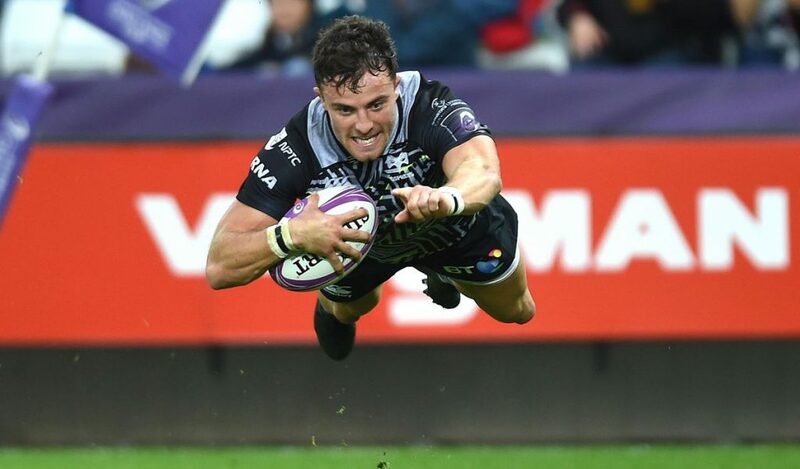 Ospreys wing and Wales Sevens’ all-time leading points and try scorer Luke Morgan and Leicester Tigers’ Jonah Holmes both receive a first call up to the Wales squad. Morgan, who has scored four tries in five matches for his region this season, and back-three player Holmes, who scored 10 tries in 11 games for the Tigers last season, will link up with the squad when they meet next Monday, October 22nd. Wales welcome back eight British & Irish Lions to the squad which recorded three test victories against South Africa and Argentina in the summer. Scarlets duo Rob Evans and Wyn Jones feature with Nicky Smith as the loose-head options for Wales with Ken Owens returning to the squad alongside Elliot Dee and Ryan Elias as the hookers. Leon Brown, who made his international debut last autumn, returns to the squad and is named along with Tomas Francis, Samson Lee and Dillon Lewis who all toured with Wales in the summer. Captain Alun Wyn Jones returns as does Jake Ball who hasn’t featured for Wales since the 2017 Under Armour series due to injury. Adam Beard, Bradley Davies and Cory Hill are the other second-rows named. In the back-row co-captain from the summer tour Ellis Jenkins, debutant in Argentina Aaron Wainwright and Dragons number eight Ross Moriarty are joined by Lions duo Dan Lydiate and Justin Tipuric. Aled Davies, Gareth Davies and Tomos Williams, who all featured in the USA and Argentina in June are named as the scrum-halves with Dan Biggar returning to the squad alongside Gareth Anscombe and Rhys Patchell as the fly-half options. Lion Jonathan Davies returns from injury to feature alongside Tyler Morgan, Hadleigh Parkes and Owen Watkin. The back-three options see the return of Leigh Halfpenny and Liam Williams alongside summer tourists Josh Adams, Steff Evans and George North as well as the uncapped duo of Morgan and Holmes. “This autumn is the start of a 12-month countdown to the Rugby World Cup and it is a huge opportunity for the players,” said Wales Head Coach Warren Gatland. “The players who performed and represented Wales so well in the summer deserve the opportunity again and we are really pleased with the depth we have built across the squad. “We have added in a lot of experience with eight British & Irish Lions coming into the squad so there is a lot of competition for places. “Some experienced players have missed out, the message to them is the door isn’t closed looking long term, its just a reflection of where we are depth wise and the opportunity to look at other players. “A further eight players haven’t been selected due to injury, dependent on their recovery they could be called in at a later date. A number of players who are currently recovering from injury have not been included in the squad but will continue to be monitored and could be called into the squad during the series dependant on their recovery, fitness and performances.